The following study has helped me to grow in faith in Christ Jesus. I pray that it helps and encourages you as well as many others in the days to come. It is amazing that this particular illness "not leading to death," actually led to life and life more abundant through the sharing of this testimony of Jesus Christ over the course of thousands of years. Jesus always leads to life. In fact, Jesus is life (John 14:6). Hallelujah! Let us look at how Jesus used this particular sickness to bring glory to God. At surface level, one may be tempted to think that God placed this sickness on Lazarus in order to kill him and later bring him back to life. However, a deeper look into the scripture will reveal that sickness doesn't originate in The Kingdom of Heaven. 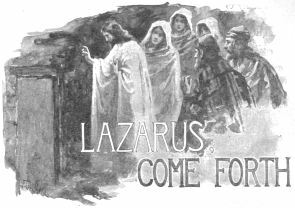 First, let us further consider the story of Lazarus. Consider how different the story would have been if Jesus hadn't raised Lazarus. What would the story be if Jesus couldn't raise Lazarus? To who's glory would the sickness of Lazarus have been if he had remained dead? If Lazarus hadn't been raised, death would have been glorified above Christ. Jesus would have been proven unable to perform His very word. Travesty! To proceed further, think about it another way. Would it ever have been correct to say: "Glory to God, Lazarus is dead forever?" Instead, Glory to God, Lazarus is raised to life in the MIGHTY name of Jesus Christ! Jesus came preaching and demonstrating The Kingdom of God with power. Did Jesus, while in the flesh, demonstrate His power to kill and destroy people? 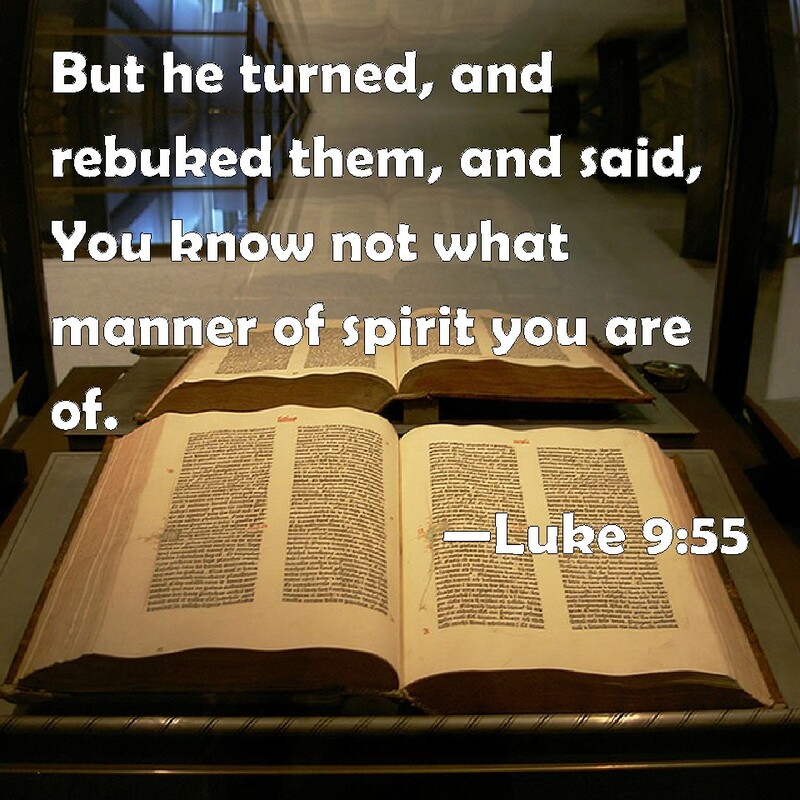 Did Jesus, while in the flesh, demonstrate His power to resurrect and restore (heal) people? What do these lists reveal about the nature of God? Jesus in the flesh was our visible image of the invisible God. Jesus is our example. Our example is recorded in The Word of God. "Do you not believe that I am in the Father, and the Father in Me? The words that I speak to you I do not speak on My own authority; but the Father who dwells in Me does the works. Believe Me that I am in the Father and the Father in Me, or else believe Me for the sake of the works themselves." What kind of works did Jesus do? Did He go about making people sick? Did He go about killing people? It doesn't get much plainer than that. 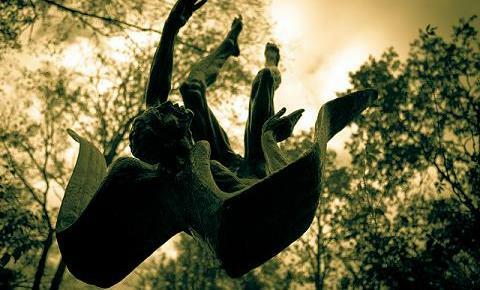 Here's a simple question to ask yourself: "Does God want me to live or to die?" What does God's word say about it? God wants us to choose life. And what of sin and it's wages? 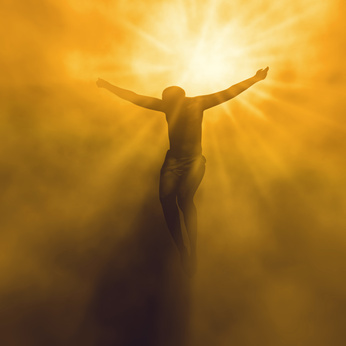 Is it to the glory of God that Adam sinned and brought death into the world? Is sin allowed in The Kingdom of Heaven? We can know the answer by considering the case of Satan (Lucifer). According to this and other scripture, Satan is removed from The Kingdom of Heaven. Does Satan's behaviour (or the behaviour of those with him) bring glory to God? Is it to the glory of God that Satan wanted to exalt his throne above the stars of God? There is no glory in rebellion, temptation, and sin. And where do these lead? Rebellion, temptation, and sin lead to death. Therefore, if there is no glory in rebellion, temptation, and sin (and there is not) how can the fruit of sin (death) bring glory to God? The Glory of God is in God's righteousness. The Glory of God is in God's resurrection. The Glory of God is in God's life. The Glory of God is in Christ Jesus! 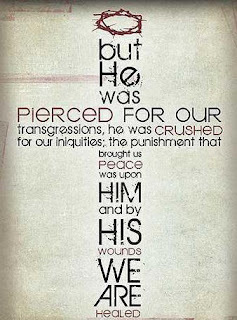 The glory on the cross (death as the result of persecution) was not simply that Christ suffered. The glory is in His righteousness - that He did not deserve to suffer - but He did anyway - willingly for us and for the glory of God. 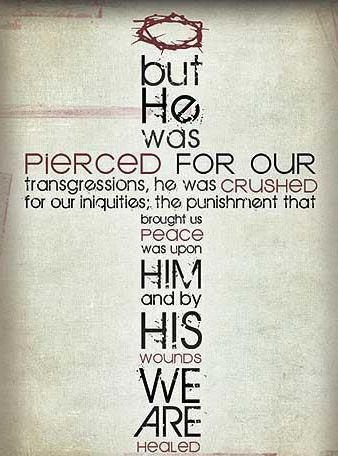 The glory of the cross is not death. The glory of the cross is in the resurrection and the life: Christ Jesus the righteous! 1 Peter 2:21-24 For to this you were called, because Christ also suffered for us, leaving us an example, that you should follow His steps: “Who committed no sin, Nor was deceit found in His mouth”; who, when He was reviled, did not revile in return; when He suffered, He did not threaten, but committed Himself to Him who judges righteously; who Himself bore our sins in His own body on the tree, that we, having died to sins, might live for righteousness—by whose stripes you were healed. By whose stripes you were made sick? "By whose stripes you were healed!" Today, as in the days of old, some are concerned of strange beliefs creeping into the body of Christ. I share this concern. For example, it is very strange to think that Jesus makes people sick. And yet, some seem to believe that Jesus has brought sickness upon them for His glory. 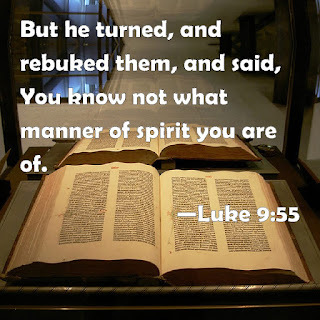 By the stripes of Jesus, you are made sick? By the stripes of Jesus, you are healed! Does the presence of Jesus, and His Kingdom, bring with it sickness and death, the fruit of sin? The presence of Jesus and His Kingdom brings with it healing and life, the fruit of righteousness. Is it for the glory of God that humans get sick and die? If it is, then we should all be praying for sickness that we glorify God. Let's all pray that we suffer sickness for the glory of God? 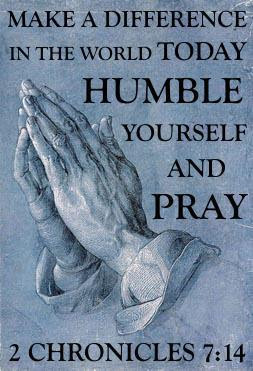 Simple rule: If it is not something to pray for, then it is something to pray against. We are called to pray for one another. We are called to pray against sickness and death. This prayer MUST be a prayer of faith. For a double-minded man should not suppose that he will receive anything from the Lord. For this reason, it is CRITICAL to understand (without a single doubt) that sickness does not originate, nor remain, in the Kingdom of God. Belief otherwise, destroys (hinders) the prayer of faith. It is of the utmost importance to be STABLE in faith. To TRUST in the fact that GOD is for us, not against us. Be encouraged through worship of The Righteous King: Christ Jesus! There is much more to say of this matter. However, in closing, one more example is offered. This is a story of a woman, her son, and a debilitating illness. Life on earth isn't all flowers and roses. But that should never stop a person of faith from believing and seeking breakthrough. I'm certain that we can continue to learn much and grow together in faith. Greater things are possible in Christ.